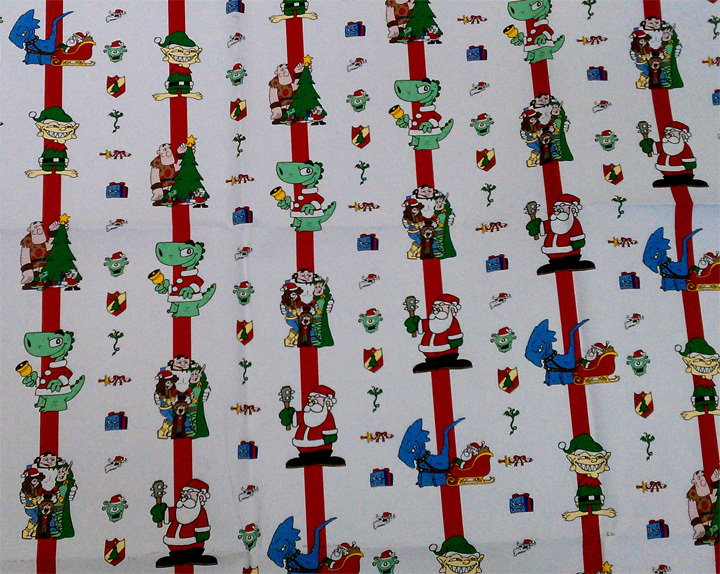 10'x10' Toons - Wrap Me Up! Comic Con was a ton of fun. You can read about my exploits there over at my general-purpose blog, but I don’t have time to dwell on that … Gen Con is coming up next week, and I’ve got a lot to do before flying off to Indianapolis. “What’s that?” you ask? 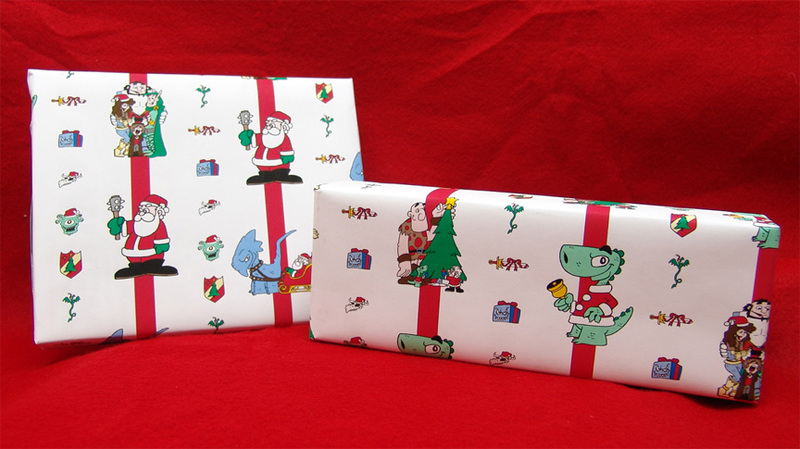 Why, it’s holiday-themed wrapping paper featuring my cartoons! Here, have another look. 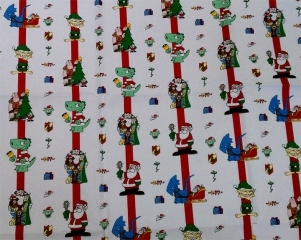 That will be available from the fine folks at Gaming Paper (booth #1429) at the show and then at friendly local game stores everywhere sometime in the fall (I’ll give you more details when they become available).